If you live in Louisiana and you’re trying to adopt a Bengal kitten or Bengal cat, your best choice is to go to a Bengal breeder. These are people who specialize in this breed and really understand the personality traits and how to care for them. If you’re hoping to find a Bengal cat at an animal shelter, you’re out of luck. Bengal cats are an exotic breed and this makes it extremely unlikely one will ever end up there. Finding a Bengal cat breeder in Louisiana can be difficult, but we’ve done all of the hard work for you. 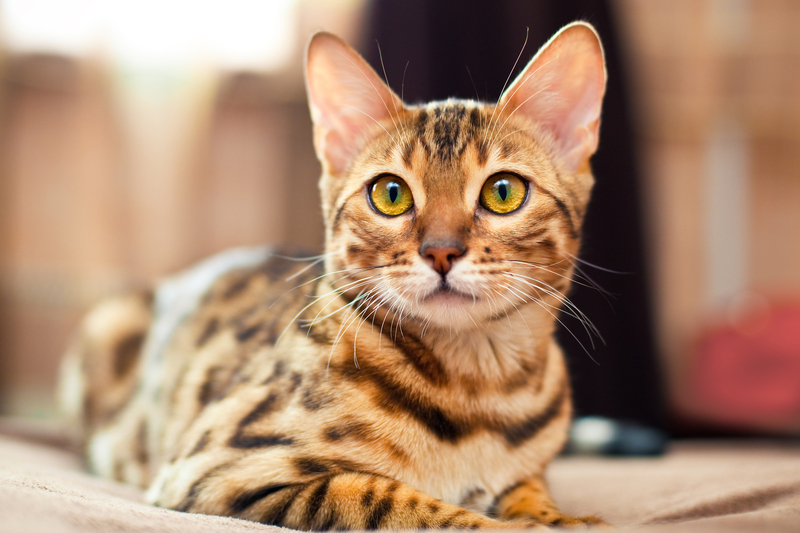 We’ve spent hours researching to find all of the different Bengal cat breeders in Louisiana and below you can see our list. Use the information below to research and feel free to contact the breeders if you have questions. How They Describe Themselves: We are a small in home cattery located in the Northwest Corner of Louisiana. Our Bengal kittens are raised with our Grandchildren in our very busy home. Some of our Bengals can be seen at local youth baseball games, dance lessons and even a fun filled ride on the four wheeler. They are a part of the family and seem to want to go everywhere. How They Describe Themselves: We are dedicated to breeding the best bengal we possibly can, focusing on Great Personality as well as Beauty. All of our cat's are raised and kept in our home with us, and given undivided Attention and Love. Please feel free to look around and hopefully find your new Best Friend! How They Describe Themselves: We breed our kittens for quality not quantity. They have wonderful loving dispositions, exceptional color and contrast, large rosettes, great type, clear coats, and lots of purr-sonality! All of our kittens come from champion blood lines and are born and raised inside our home with our family and are completely socialized and guaranteed healthy. A perfect little "living room leopard" for you to love! How They Describe Themselves: Our kittens are bred with love and attention for rosettes, glitter, type, pelt, and contrast along with that wild look that is the breed standard. All of our cats and kittens are carefully selected from established champion lines from other breeders who share our vision and love for these babies. Not finding what you want with the Bengal cat breeders in Louisiana? Sometimes this happens as most small catteries only have one or two litters per year. If you’re looking to adopt a Bengal kitten or adopt a Bengal cat, you have two choices. First, you can find out from the breeder(s) above when litters are expected and be put on a waiting list. Or, you can contact breeders in other states near you.